Vermicelli pasta is a type of pasta made of durham wheat semolina and is used in Middle Eastern dishes. Although they have almost the same name, they are not the same as vermicelli rice noodles which are rice noodles used predominately in Asian cuisines. 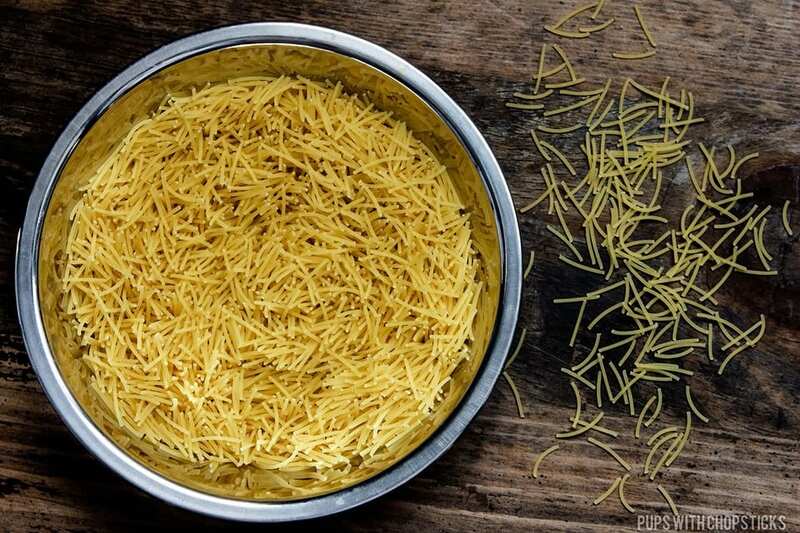 Vermicelli pasta is used in Middle Eastern cooking and can be found in rice dishes as well as in soups. It is a very versatile ingredient and can honestly be used in every day cooking as well such as simple chicken noodle soups or quick noodle salads. You can substitute broken up pieces of angel hair pasta in place of vermicelli pasta. You can find these at middle eastern super markets, gourmet grocery stores or online. They can also be substituted with angel hair pasta (broken into small pieces). When you are shopping for vermicelli pasta, do not confuse this with vermicelli rice noodles. They are different ingredients and have different textures when cooked. 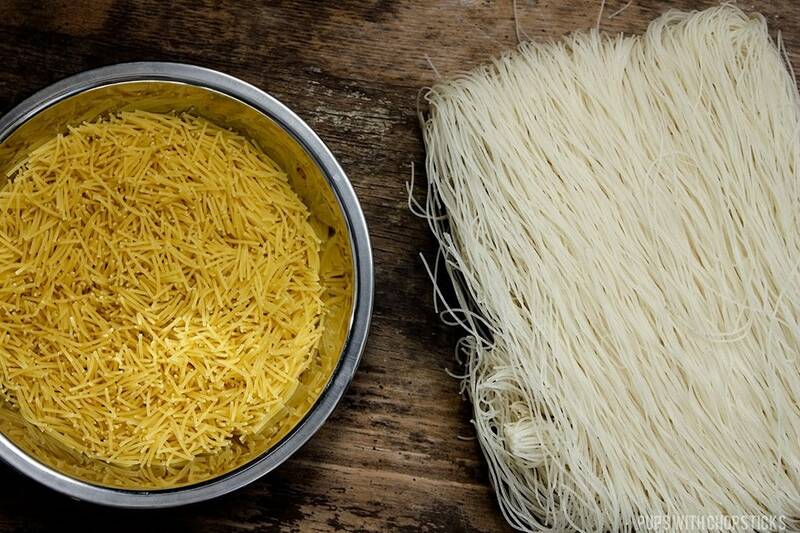 Vermicelli pasta is made of durham wheat semolina and is yellow in colour like pasta. Vermicelli rice noodles are white in colour and is made of rice. They have the same texture as pasta since it is essentially pasta. They come in small broken up pieces so the texture is tough to detect if used within other dishes. Store these the same way you would store your pastas and rice, in a well sealed container in the pantry. This is the first time I am hearing about Vermicelli pasta and it seems like something I have to try. Do you have any good recipe with this particular ingredient, Joyce?